Enjoy an alternative sightseeing experience in Buenos Aires on a 3-hour tour including sailing on the Rio de la Plata. With your guide, you’ll visit charming neighborhoods such as Palermo, San Telmo and La Boca while learning about the history and culture of the Argentinian capital. 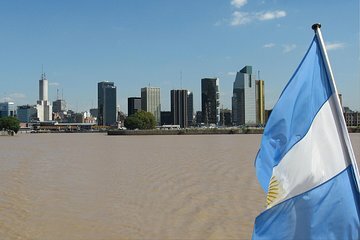 Gaze at the pointed spire of The Obelisk and admire opulent colonial mansions before climbing aboard a boat at Puerto Madero for a sightseeing cruise on Rio de la Plata — the world’s widest estuary. Hotel pickup and a 3-course lunch are included.